As with many other organizations and websites, awards can be granted to users to acknowledge service to Conservapedia. What makes these awards similar is that there are criteria governing how they may be granted and by whom. Despite this commonality, each award is different, as requirements differ for each medal. Generally the harder the requirements are to attain, the more prestige that is attached to a medal. All awards are listed on this page, along with relevant information and requirements. At this time, there are different types of awards that fall into two categories. Category Awards are awards given for contribution in a specific category. General Awards are awards for contribution to Conservapedia in general. Within these divisions, there are three levels of awards from I to III. The lower the number, the higher an award is and consequently, the harder it is to obtain. At one point in the future, all awards shall be converted into medal form. With every medal, there should be a ribbon that prevents your userpage from being cluttered. A substitute ribbon has been designed for any medals where no ribbon is available at a point in time. These medals are designed to recognize significant contributions to Conservapedia in general academic fields. 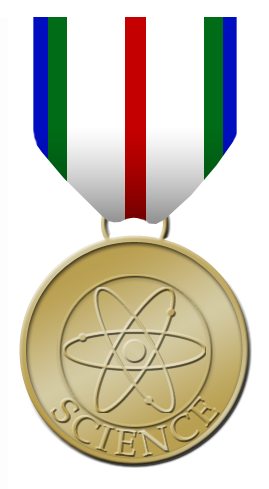 Any user may nominate another to receive this medal, but the final award should be made by an Administrator. The awards for this category are under development. Sample Citation:For service to Conservapedia that goes above and beyond the call of duty. The Conservapedia Medal was designed by Geo.plrd on December 10, 2008. It is meant to be an award to recognize extraordinary service by users. This medal should not be granted at this time as the criteria for it are not fully hashed out. This is the highest general medal. Sample Citation:For meritorious service to Conservapedia." Sample Citation:For the display of conduct that is an example that all should follow. The Good Conduct medal was designed by Geo.plrd on December 10, 2008. It is designed to recognize those who demonstrate exemplary behavior and provide a good example for others to follow. By recognizing users for their good behavior, we both honor them and encourage them to continue, retaining them as contributors. Good Conduct is a multitude of things that come together as one. Solomon wrote to his son David "Do not let kindness and truth leave you; Bind them around your neck, Write them on the tablet of your heart." (Proverbs 3:3). Since Conservapedia's mission is to provide the public with relevant information, it is crucial that articles be accurate, well supported, and focus on providing useful information. Teamwork at a wiki is also important and a kind and cordial atmosphere is certainly important. Respect for authority is also vital. Respect for authority keeps our society functional, making it crucial. Another facet is being a role model. Those who are granted this award should have been a role model for others. In the words of Gandhi, "Be the change you wish to see in the world". By many modeling good behavior, the world is gradually transformed into a better place. At this point in time, this award should be granted by any Administrator to any user whom they feel meets the above criteria. Receipt of this award allows the recipient to display both the medal and ribbon. To prevent clutter, users may wish to place medals on a subpage, with ribbons on their userpage. The Service White Medal was created by Geo.plrd on December 11, 2008. It is the lowest of the service awards and the first you can receive. This is meant to be a symbol of your growth as a person and will be awarded in accordance with a program coming out soon. No awards should be made at this time! This page was last modified on 7 February 2009, at 01:27.